When people think of Thai art, they immediately think of traditional art and handicrafts made centuries ago. While these pieces remain wondrous works of art that are worth recognizing, there are many young Thai artists emerging, combining their cultural heritage with modern art forms. 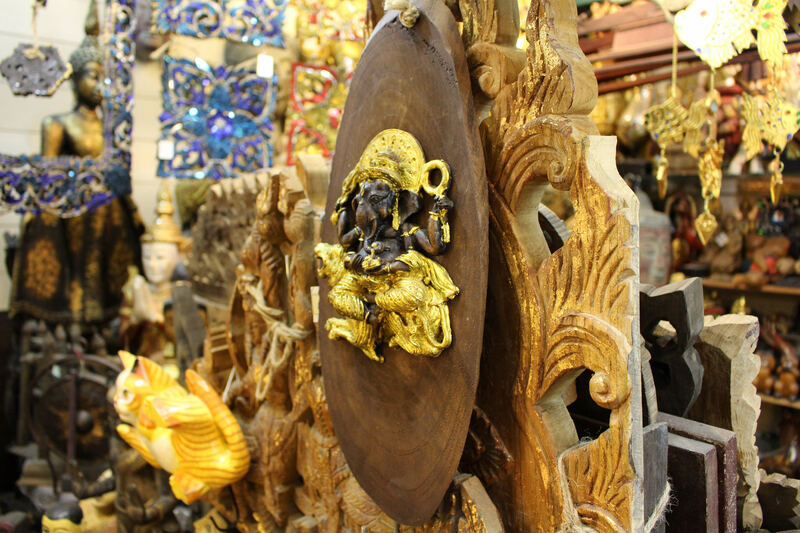 Regardless of what you are looking for, Bangkok has many shops and markets where visitors will find an abundance of these masterpieces. Here, the top places to buy art in Bangkok. Being that Chatuchak Weekend Market is one of the largest markets in the world, it is no wonder that it is home to an extensive art section. The vendors that make up this section showcase a wide variety of different art forms, from canvas work to sculptures. In addition to an array of artwork being available for shoppers to purchase right then and there, artists oftentimes occupy their stall or gallery and are open to being commissioned to create a custom piece. Rock Around Asia is an art gallery of sorts, dedicated to up-and-coming Thai artists. It aims to provide some hope for the young art community that sees their profession struggling to make a name for oneself in the art world. Rock Around Asia does not identify as an art gallery, as it is a political act first and foremost, aiming to defend culture and education within the art world. It supports and offers to give young Thais, whether they are artists or recent graduates in a field that is artistic, a fighting chance to make their work and name known. Rock Around Asia created an environment in which Thai artists, buyers, and businesses can meet. In addition to its gallery, Rock Around Asia has a large social network that provides Thai artists yet another way to connect with one another. Rock Around Asia also ships their unique pieces all over the world, so feel free to explore the gallery and take pieces home. The Bangkok Art and Culture Centre is one of the largest galleries in Bangkok, though it does not feel like one. In addition to its exhibitions and displays, with several going on daily, it is also home to restaurants, cafes and eco-friendly stores, as well as workshops aimed at helping visitors get in touch with their creative side. The building itself is a work of art, with Thai architecture used throughout in combination with high, modern ceilings. The Bangkok Art and Culture Centre’s architecture was specifically designed with artwork in mind, and exhibitions are displayed beautifully and uniquely. 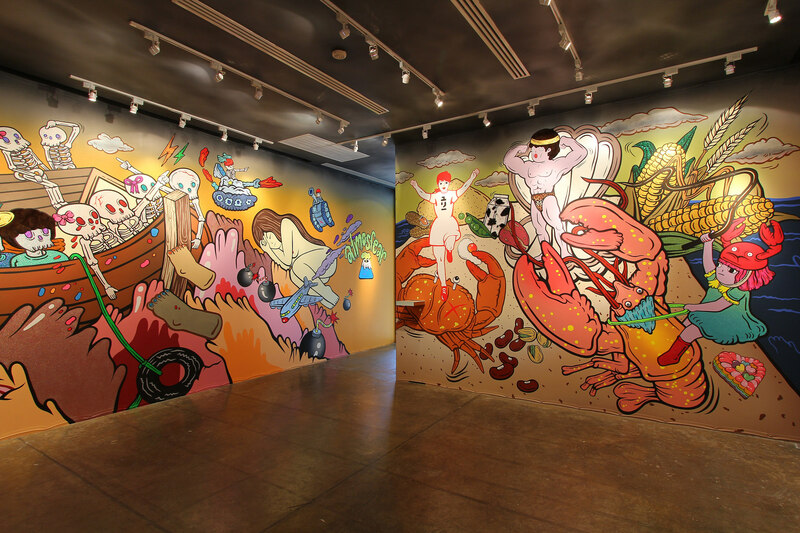 WhiteSpace Gallery has been promoting young contemporary Thai artists since it was founded in 2006. David Meyer, an American architect, and Maitree Siriboon, a Thai artist, have assisted these young artists in launching their careers in both Asia and Europe. The gallery provides visitors and art collectors with art consultancy for those who need any assistance in finding their very own, perfect piece of art. The exhibitions the gallery has held have been both unique and plentiful, and visitors will not be disappointed in the wide variety of mediums on display here. 100 Tonson Gallery’s specialty is contemporary art, and it finds artists both nationally and internationally in hopes of finding and showcasing the best of the best. In addition to its global reach, the gallery has also participated in art fairs around the world, from Singapore to Hong Kong. WTF Cafe and Gallery is home to both interesting drinks and even better pieces of art. 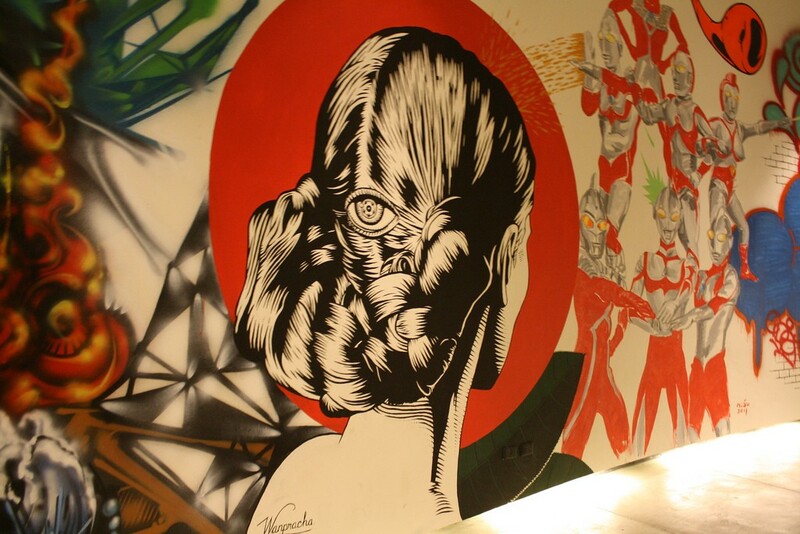 Its multitasking concept, Drink-Art-Friendship, aims to connect art, ideas and people in its two-story space in Bangkok’s trendy Thong Lor neighborhood. Exhibits and shows cycle through this gallery often, providing visitors a glimpse at many different artists’ work. WTF’s gallery is found on the second and third floors, and the restaurant is open every Tuesday through Sunday from 6pm to 1am. The gallery is open Tuesday through Sunday from 4pm to 10pm. Thavibu Gallery showcases work from not only Thailand but also from Vietnam and Myanmar. A wide range of artists showcase their high-quality paintings here, many of who incorporate underlying themes into their work. These themes have been social, political, spiritual, and more. Visitors from all over the globe visit this gallery, and Thavibu Gallery can also ship its beautiful pieces of art internationally.